Despite being home to Victoria Falls and the Zambezi National Park, Zambia is one of the least touristy African nations - a good choice if you're looking for a rough round the edges safari experience. The wilderness possibilities here are endless, but you have to work a bit harder for them - travel is less smooth, accommodation options less luxurious. For some people though this adds to the experience, and some of the best places to stay in Zambia feel as close as you can get to the 'real' Africa. If you're looking for a different safari experience you can also look Kenya or South Africa. Lake Kariba in southeastern Zambia, and the end of the road for water flowing from Victoria Falls. South Luangwa National Park, which has some of the greatest biodiversity in Africa, including loads of elephants. Kafue National Park, the largest in Zambia and home of the cast grasslands of the Busanga Plains, another wonderfully bio-diverse region. Chimfunshi Wildlife Orphanage, an impressive chimpanzee sanctuary. Livingstone, 11kms from the falls and a laid back backpacker mecca. And finally Lusaka, Zambia's capital city. Be sure to book ahead as the best places to stay in Zambia get quickly filled up - especially in safari season! 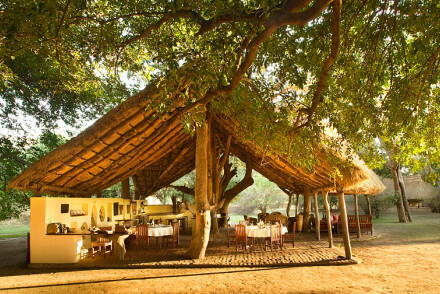 For the traditional safari bush camp experience, one of the best places to stay in Zambia is Old Mondoro. These four, virtually open-air canvas and reed huts with en suite bathrooms, right on the banks of the Zambezi River provide a real 'back to nature' experience. The camp overlooks a maze of scenic channels and islands in a peaceful spot. Fish, kayak and see what you can see. Nsefu is a former hunting lodge and is a good choice for folks who're a bit nervous about sleeping in tents. 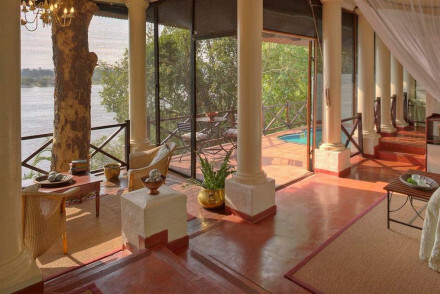 On the bank of a bend in the Luangwa River, this spot offers game watching on your doorstep. The bar, hidden inside an old termite mound, allows you to watch as animals, especially leopards, gather to the river in the evening. There are guided walks and day and night drives on offer. Lufupa Camp offers great value. South of the Busanga Plains on the join of two rivers, this is a beautiful, peaceful spot good for fishing and birdwatching, as well as game spotting. The ten canvas Meru tents, which are on stilts, are basic but comfortable, but there are some luxuries - like a plunge pool! This camp is known for its wildness and its energy. If you're looking for a personalised walking safari experience in the Luangwa Valley, the six, reed and thatch rooms of the Tafika Camp are perfect. Run by the owners, who are very, very experienced guides, this camp is small and intimate. Get back to nature in the open air showers and see the wonder of the valley from above when you're taken microlighting by the owner! The Luwi Bushcamp is focused solely on walking safaris, so it's peaceful and ecologically focussed. The accommodation here is four reed and thatch 'chalets', which are grander than huts, but along those lines. Shaded by huge mahogany trees, these chalets overlook a grassy plain - a frequent highway for animals crossing between the forest and the lagoon, just off the camp's site. Chiawa is regarded as one of Africa's top ten safari camps, based on the excellence of the guides and its unrivalled location overlooking the Zambezi River. All eight rooms, and one suite, have river views, and they're as luxurious as safari camp accommodation can get. This once in a lifetime experience of Zambia does come with a price tag. In the heart of the Zambezi National Park, Sausage Tree Camp, with Bedouin-style tents and an excellent reputation for its cuisine is one of the best places to stay in Zambia if you're looking for a safari with a hint of luxury. The Luangwa Safari House is another excellent choice for people who prefer to sleep within firm walls. This private house sits on the edge of a lagoon and has a backdrop of the spectacular Chindeni Hills. There are only four bedrooms - the house only sleeps eight - so you have the comfort of the pool, alfresco dining on the suspended balconies and the peace and quiet which attracts the game right to your door, almost to yourself. Oozing colonial chic, The Royal Livingstone is the ideal spot for an upmarket safari trip. Offering stylish, traditional accommodation and an unbeatable location just minutes from Victoria Falls, you can come back after a day out to unwind by the pool or treat yourself to a massage. A super stay. The Busanga Bush Camp is one of the best places to stay in Zambia for families or groups because it only has a few rooms. 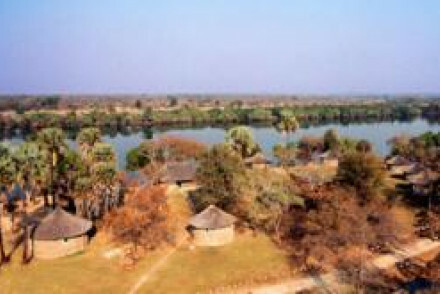 It's boasts a wonderful location on an island overlooking the Busanga Plains in the far north of Kafue National Park. The remoteness of the spot increases your chances of seeing rarer game and it is especially well known for lion sightings. The fact that the accommodation has proper walls will help many a parent feel safer about their children! 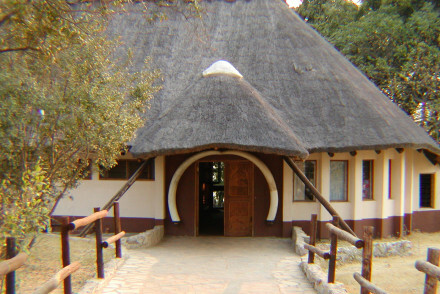 Another property with real walls, the Shiwa Ngandu 'Africa House' is another of the best places to stay with children. A converted colonial country house, this 'ranch' has 10,000 hectares rife with game so there's no disadvantage to sleeping under a ceiling. Refined and colonial inside, this land is raw - Shiwa Ngandu translates to 'Lake of the Royal Crocodiles'. •	If you're here on honeymoon, The River Club with views of Victoria Falls, is one of the best places to stay in Zambia. A twenty minute drive to the falls, this Edwardian-style lodge is right on a bend in the Zambezi river. The thatched, chalet style accommodation is set amongst lush, manicured gardens, whilst the spa and wellness centre has beautify treatments, a gym and a jacuzzi. So if you're looking for a relaxing safari experience this would be perfect. If you think you'd be best served by a self-catering option then browse through the wide variety available online with our partner Booking.com. You are best visiting during the dry season, from May to October, as this is when the temperature is nice enough to spend your days off on safari. It can get pretty hot though in September and October, with the average daily temperature rising up to 29°C - so you may wish to avoid coming at this time. The rainy season lasts from December to April. International visitors can fly into Lusaka's Kenneth Kaunda International Airport, however there's no public transportation at the airport so you'll need to get in a cab once you arrive. Widen the net to include our recommendations in Tanzania or in Kenya. 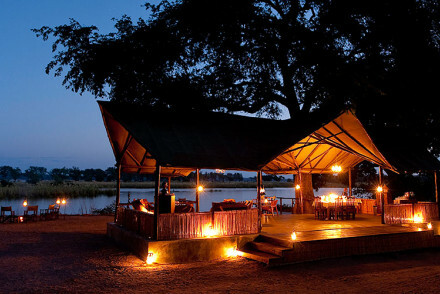 A back to basics, authentic tented bush camp on the banks of the Zambezi. Rustic, but comfortable. Open-style canvas and reed rooms with en suite bathrooms and private sun decks. 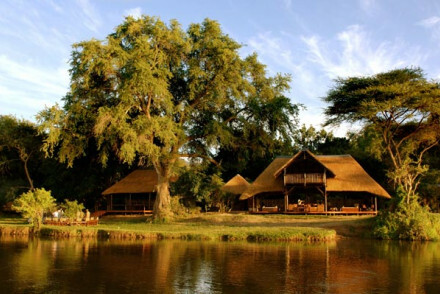 A safari camp with a back to nature philosophy. Safari and animal activity from right outside the camp. An intimate and secluded rustic tented bush camp . Reed and thatch chalets beneath a shady canopy looking over the grass plains. The nearby 'hippo hide' provides fantastic opportunity for close sightings of hippos, crocodiles and more. A minimalist camp, but with charm and character. Intimate safari camp with a touch of luxury. Great location in the heart of the Zambezi National Park - a prime game viewing spot. Bedouin style tents with outdoor bathrooms. Excellent food and high standards of service. 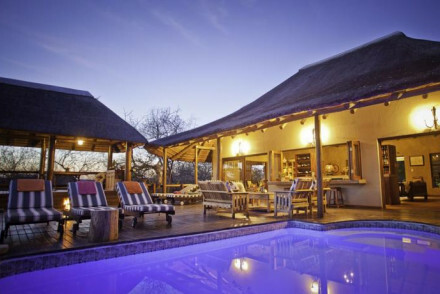 Guided bush walks, canoe safari and evening game drives with sun-downer drinks. Outstanding location - In the heart of the Zambezi National Park. 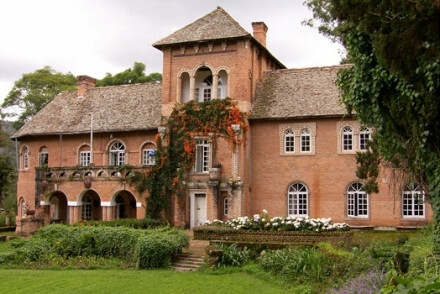 Edwardian-style lodge close to Victoria Falls. Thatched chalets set in manicured gardens with fantastic views over the river. Wellness centre providing beauty treatments, gym, and a jacuzzi. 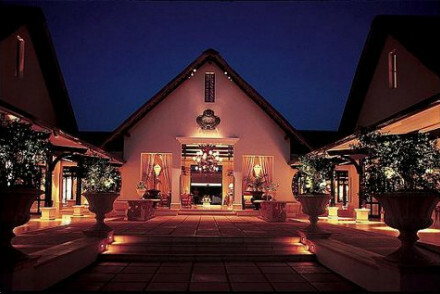 A luxurious spot with excellent wildlife and outdoor activities. Stunning private house with a unique style on the edge of a lagoon. Beautifully styled bedrooms with suspended balconies and glorious views - an architectural feat. Swimming pool, al fresco dining and open lounge. One of the best spots for watching game. A private and personal experience. Outstanding location - On the edge of a lagoon and with a backdrop of the hills. 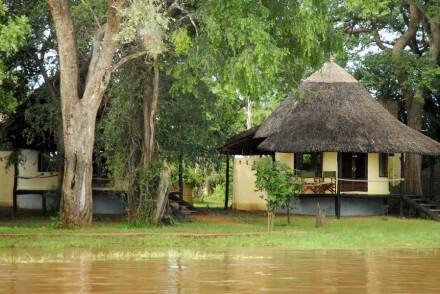 This permanent lodge on the banks of the Luangwa offers game viewing on your doorstep. Six thatched en suite rondavel rooms with river views. Spot the nearby waterhole from the bar and watch elephants crossing the river daily. An excellent spot for those who prefer solid walls around them. Friendly, family bush camp with some of the best guiding in Africa. Reed and thatch chalets with outdoor showers and spectacular views. Fabulous for small, intimate walking safaris. Exceptional game viewing and exciting activities, including mountain biking safari. An elegant colonial-chic safari lodge on the banks of the Zambezi and minutes from Victoria Falls. The prefect place for an active family safari adventure. Active Holiday - Perfect for white water rafting and safari trips. Riverside - A stone's throw from Victoria Falls. Remote bush camp for keen game watchers. A relaxed, laid back and unpretentious camp that is well suited to game enthusiasts - it is all about safari. 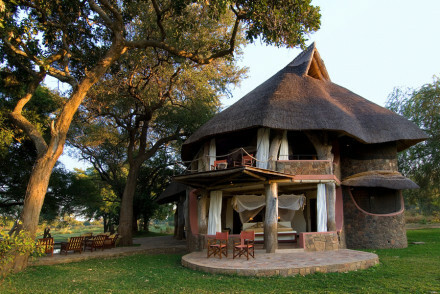 Just three grass-tented bandas make it an ideal spot for groups or families. Views - Superb views over the floodplains in front of the camp. Birdwatching - Bring binoculars and spot birds from the camp. 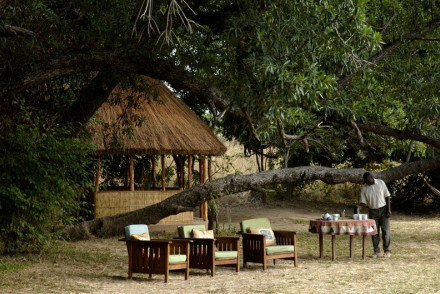 Superb family-operated camp overlooking the Zambezi. One of Africa's top ten safari spots in an unrivalled location under a grove of mahogany trees. Each beautiful, romantically decorated room overlooks the Zambezi. A spot for honeymooners and those who want the best. A reminder of a bygone colonial era. A newly renovated country estate in the heart of the Northern Zambia. Set in a 10,000 hectare game ranch, rich in wildlife and steeped in history. The separate villa has four spacious rooms - perfect for a group or a family. A truly unique spot. Canvas tents in a wild location on the confluence of two rivers. Basic but comfortable tented lodges on stilts. A lively bar and restaurant, even a plunge pool. Lots of safari activities. A hive of energy and great value for money. Views - Views over the river confluence.